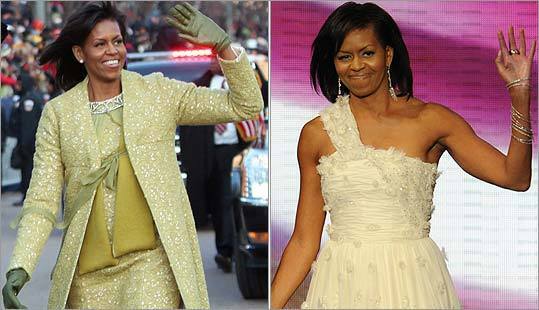 Discussion in 'Star Style' started by Urban Stylin, Apr 4, 2009.
but i would give a slight edge to first lady michelle. she can wear j.crew and she can wear stuff that's bit unorthodox like maria cornejo....she takes more risks and i admire her for that. this is going to be such an awesome thread. I like them both. Such strong dynamic women. Both are so lovely, but I'll have to go with Carla. Carla. You can't beat the French fashion houses. I have to give Michelle the win for the Azzedine Alaia though. Carla's black Dior was a very good look, but her always-flesh-colored legs, extremely flat shoes, and somewhat matronly or staid choices put her at a bit of a disadvantage. There was no high/low, and I felt she looked stiff in the belted suede coat and pancake flat shoes. Except for the lavender coat (very nice) and bag, she wore very little color. I thought overall Michelle looked completely comfortable and elegant and took more risks ... and perhaps that entitles her to a win. The meeting of first lady fashion forces Carla Bruni-Sarkozy and Michelle Obama has been one of the most highly anticipated get-togethers of the Obamas' European trip this week. Bruni-Sarkozy, who was spending the day away from her 5'5" husband, wore low heels. She had worn flats all day Friday. Obama, at left, wore black patent leather flats. The American First Lady presented French First Lady Carla Bruni-Sarkozy with a practical - and very rock 'n' roll - gift: an acoustic Gibson guitar. Offered "as a sign of friendship', Michelle Obama gave Gibson's Legend model, to Bruni, a former model-turned-singer who is currently in the process of recording her fourth album. 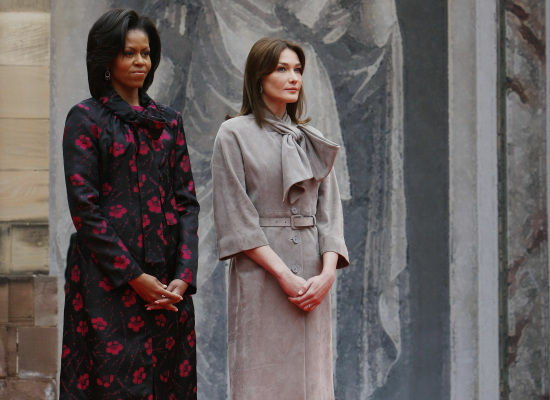 When Carla Bruni-Sarkozy and Michelle Obama met on Friday in France, they were a study in contrasts: the French first lady sported a gray Dior coat while Obama opted for a brightly colored Thakoon ensemble. 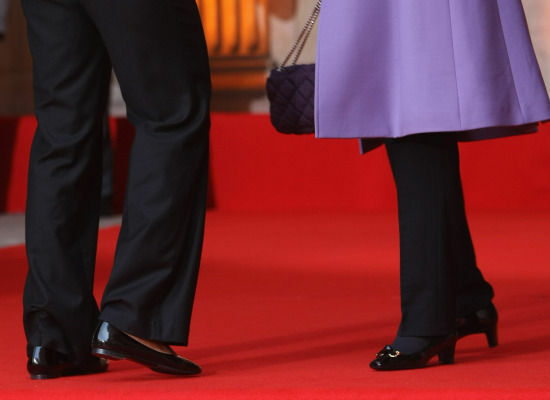 But in their everyday lives, the stylish first ladies share one sartorial signature item: a preference for flat footwear. Granted, both women already stand tall: Michelle Obama is 5'11" while Bruni-Sarkozy, a former model, is said to be 5'9". President Barack Obama stands 6'1" 1/2, but President Nicolas Sarkozy is a mere 5'5", which helps explain why his wife would wear flats. I would have to say Michelle looks amazing in all the outfits and she takes more of a risk in what she wears. I can't decide, I like both tremendously. I'm going with Carla. Her style is exactly prim and proper and I love it all the more, because she pulls them off. Michelle is wonderful too though. didnt know michelle was so tall! Carla used to be a supermodel but shes shorter than her!! I do agree both have awesome style and can teach all the first ladies that you dont have to be frumpy and stuck up to be a first lady. carla for me. michelle does take more risks but that doesn't mean she necessarily has more style or that her style is better. i think first ladies should be elegant, proper, chic and not try too hard. i feel like michelle always tries too hard.